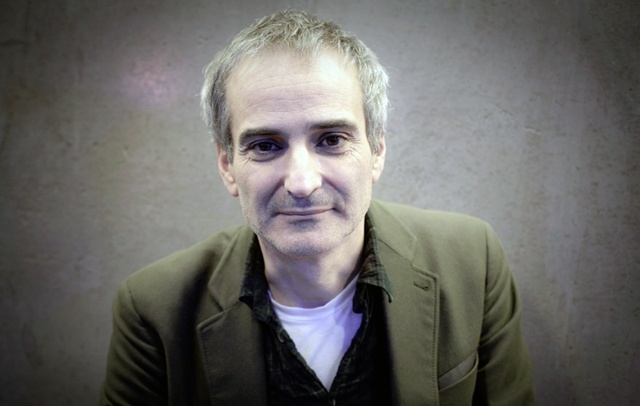 French film director Olivier Assayas ("Carlos", "Summer Hours") is the first guest. Assayas' latest movie starring Juliette Binoche, Kristen Stewart —who recently experienced the distinction of being the first American actor to ever win France's Cesar Award— and Cloë Grace Moretz is "Clouds of Sils Maria". The film is about a successful actress (Binoche) who is aging out of her ingenue roles and finds herself reunited with a director with whom she shares a complicated history and a role that is causing her much stress. The film, distributed by Sundance Selects, is in theaters on April 10th. Kieran Turner discusses his new doc "Jobriath, A.D." about the glam rock star, aka The American Bowie. Jobriath was also the first openly gay rock star. Because of that and perhaps his other career choices, his career was cut short. Sadly, he died of AIDS at the age of 37 but not after leaving a small but unforgettable trove of music behind. The film is currently available on various digital platforms including iTunes and Amazon. There will also be 2 special screenings coming up later this month including one with The Cinefamily in L.A. on 4/16 and a midnight screening on 4/17 at the Nitehawk in Brooklyn. Last up are filmmaker Brane Bala & actor/musician Milan Mumin with their film "Love Hunter". The movie is the biographical story about the actor & musucian Milan Mumin who has left a modicum of fame in Serbia to pursue a life and career in NYC. He gets caught up in a love triangle with his Serbian fiancé (Jelena Stupljanin) and a new bass player (Eleanor Hutchins) in his band, Love Hunters. Stick around through the entire segment as after a fun chat with the two, Milan breaks out a new song, singing & playing the guitar on the podcast. Thanks to the distributor, Kino Lorber, Love Hunter is currently available on various digital platforms including iTunes and Amazon. It will also be available shortly on blu-ray and DVD. There is also a soundtrack available.